Hey, even the Earth is slightly egg shaped, really. How is that I’m still awake? I had a press pass to Tucson Comic-Con this weekend, so I felt compelled to spend almost the entire 3 days at Comic-Con. I only left Saturday because I had to go to a birthday party, and I only left Sunday because I wanted to march in the All Souls’ Procession, and I like to hang out downtown for 3 hours before the procession starts to just be in the middle of everything. So I walked a LOT. Plus, I wore combat boots for 10 hours today. My feet are kind of complaining. The introvert side of me was actually kind of freaking out about these plans, and there was a moment on Thursday when I thought, “I can’t do this.” But I did it. I took some great pictures and talked to plenty of artists and cosplayers and writers and publishers and I will write a sweet article and next year maybe I’ll get the press pass to the (MUCH larger) Phoenix con. Maybe I’ll even have enough cache for San Diego. Stranger things have been known to happen. 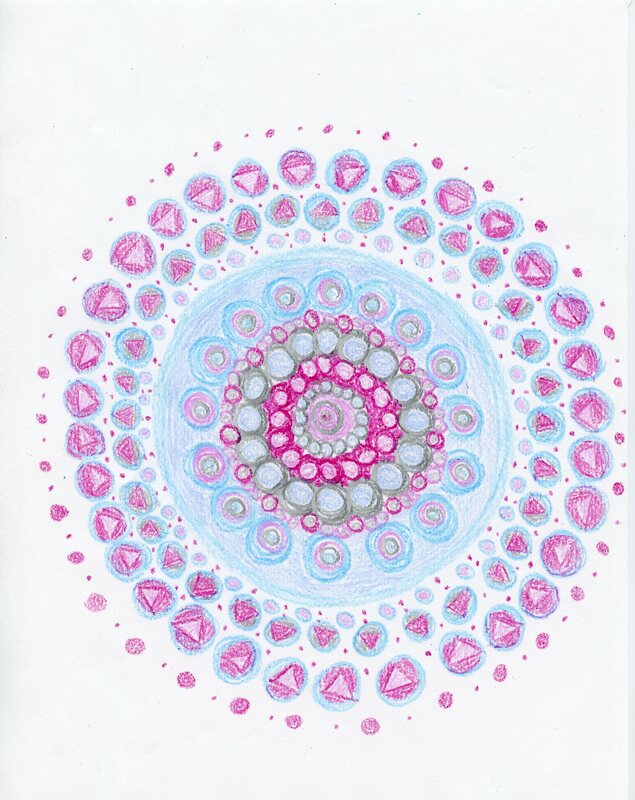 This entry was posted in mandalas and tagged comics, crayon, mandala on November 9, 2015 by littledragonblue.